Who’s ready to get jiggy with it? Thrifty and chic gave her sofa table a nice makeover. It looks fab in her room. Madigan Made some thumbtack pumpkins. Such a creative and cool idea. Check out this awesome side table makeover and paint job by Craptastic. Brilliant. 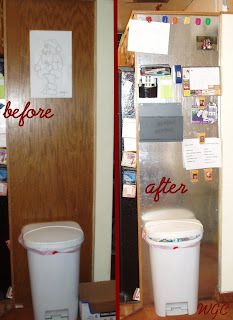 Wayward Girls Crafts added a sheet of metal to the side of her cabinet to make an awesome magnetic command center. Polish The Stars took samples of all her fabric and mounted them on cards. Now when she goes shopping she can get accessories and fabric that matches. Scattered Thoughts of a Crafty Mom gives a great tutorial on making your own lined curtains. Lil Pink Pocket took a womens button-down shirt and turned it into the cutest little girls skirt. DIY Newlyweds made some rockin’ placemat pillows. Check out this fun cardboard chandelier from Jellyfish Jelly. So fun!! 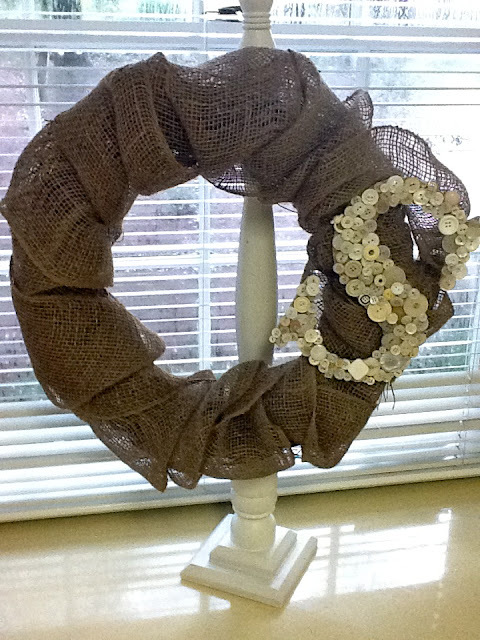 I love the wreath and stand by A Lettered Life, but I REALLY LOVE the button monogram letter. Learn 2 Play made her own penny counter-top. I die! 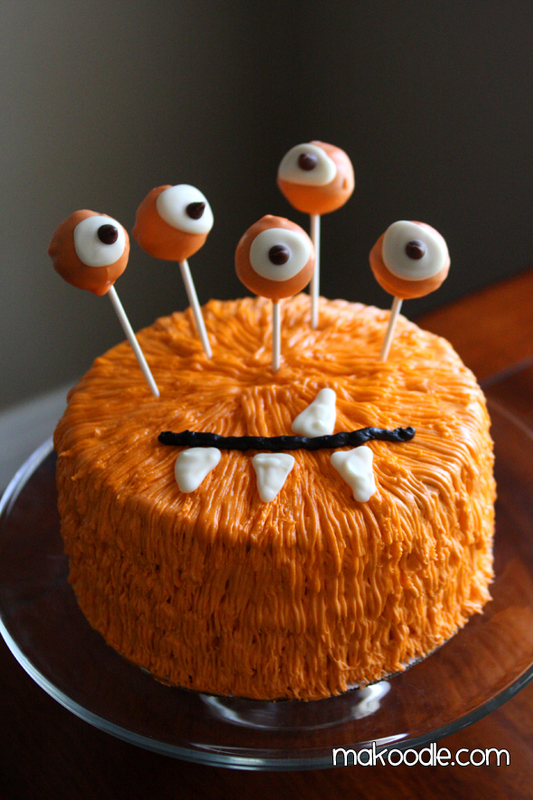 Makoodle made the cutest monster cake ever! Thank you SO much for the feature Allison!! These features are awesome!! Thanks for hosting too!! Looking forward to all the link-ups this week! Thanks for hosting, Allison! love love love your picks! 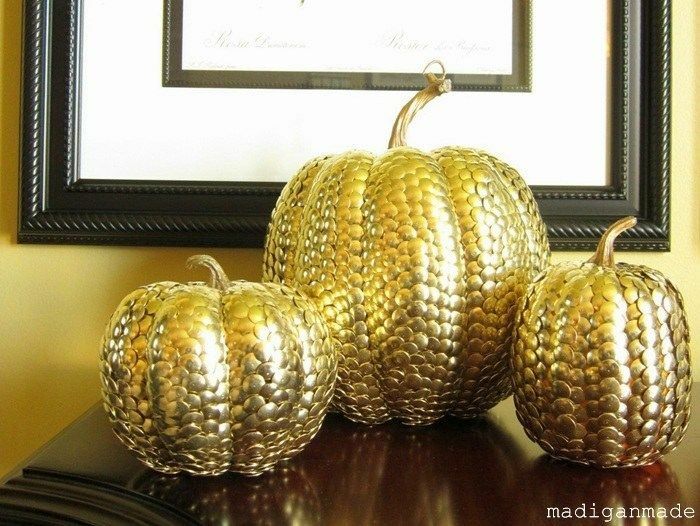 that zebra table is fab, ttly dig madigan’s pumpkins…sooo much good stuff. Thanks so much for featuring my pillows! I’m honored! Thank you so much for the feature! I LOVE that penny countertop, too. I really want to redo mine and I’ll have to look into that! I finally got brave enough to link up this week for the very first time. Then I totally did it wrong and put my name in instead of my project title. SO SORRY. Just delete it if you need to! Love love love your blog and have been stalking for a while now. Thanks for so much motivation! Thanks for hosting the party! So many amazing projects linked up in just an hour or so! Wow! Thanks so much for featuring my fabric swatch ring! 🙂 I love the penny countertop! 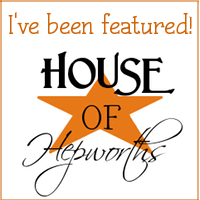 Thanks so much for featuring my Chandelier! I have my button and will wear it with pride! That fabric swatch ring is genius… and I loved that cake. I love today’s features! Great picks! Hope you have a great weekend! Thank you for featuring my DIY Penny countertop! I also loved looking at everyone’s projects. Beautiful site! I’m your newest follower! Thank you for sharing such great projects… I am having a Paris theme Birthday Party for my daughter and the chandelier will be a part of the decorations for sure. What a busy/productive week you’ve had! I’ve joined the party (#377). Thank you so much for hosting! Have a great weekend!